A high school basketball enthusiast, who contracted a potentially fatal illness and fell into a coma, astounded doctors when she continued to shoot hoops in her comatose state. 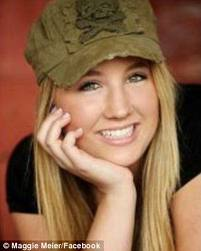 Maggie Meier fell ill in 2008 and was admitted to a hospital after suffering a seizure. The student at Blue Valley Northwest High School in Overland Park, Kansas was found to have mycoplasma meningoencephalitis, a form of meningitis which causes swelling on the brain. The teenager fell into a coma for almost three months during which time she was moved every two to three hours to prevent her limbs stiffening up. 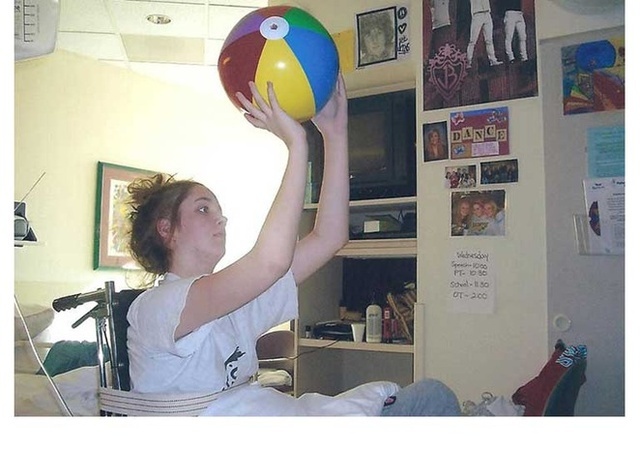 To remind her of who she was, the family placed a basketball in Maggie’s hands when she was seated upright in a wheelchair. Amazingly, the young woman’s reflexes kicked in and she started shooting hoops. On the road to recovery: Maggie Meier had to relearn how to walk, speak and read after spending several months in a coma. 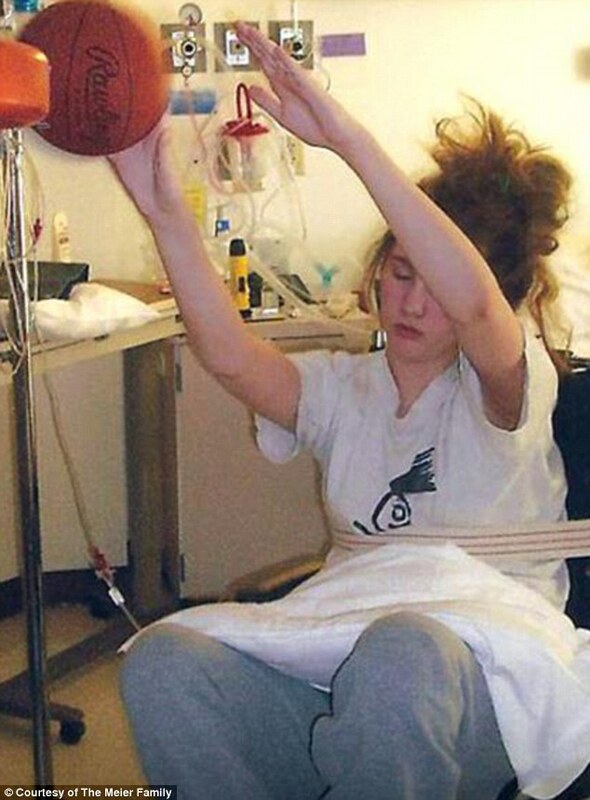 During the girl’s extended stint in the hospital, she would shoot a few hoops, then fall back into a comatose state. Since coming out of her coma, the high school student has had to relearn every facet of her daily life – how to walk, speak and read. During her stay in the hospital, Maggie’s fellow players on the school team the Huskies and coach David Glenn kept a chair by the court which said ‘reserved for Maggie Meier’ on the back. On Monday, she returned to the court after almost four years spent recovering. After graduating high school, Miss Meier plans to go to Benedictine College in Kansas and study for a degree in special education. Mycoplasma meningoencephalitis is a bacterial disease which causes inflammation of the brain. Although the condition is reversible and patients can make a full recovery, in certain cases the illness can be fatal.